Raise your hand if you had the opportunity to attend the Beth Moore Simulcast? She said there were 190,000 women attending so I'm going to venture that one of my fans was listening too??? Anyone? The first Beth Moore Simulcast I went to was about 5 years ago. I went and absolutely loved it and can say without a doubt she inspired me to start this blog... in fact the verse I chose for my blog banner is Proverbs 31:25-26 because she used that verse for the weekend. It truly helped my perspective for myself! So what spoke to me the most this session? 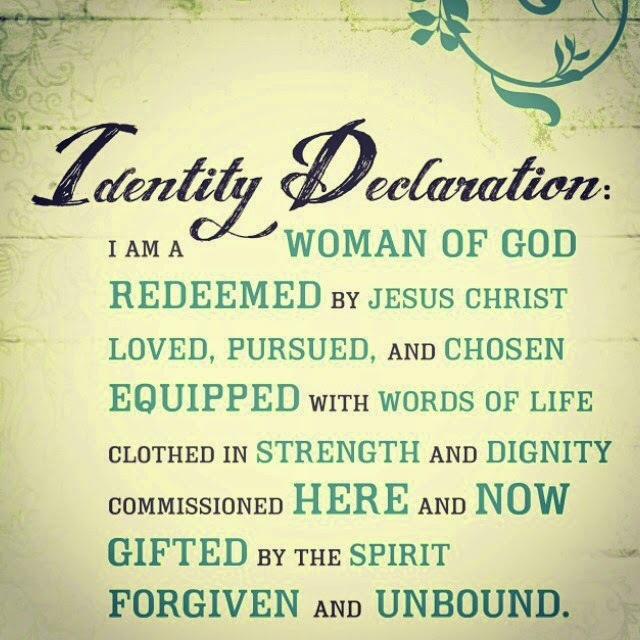 The Identity Declaration!! When the worship team got up and sang this song in a bluesy way I had goosebumps! I am going to get this printed out and truly try to memorize it. Who wants to hold me accountable to memorize it? So how have you been getting fed? 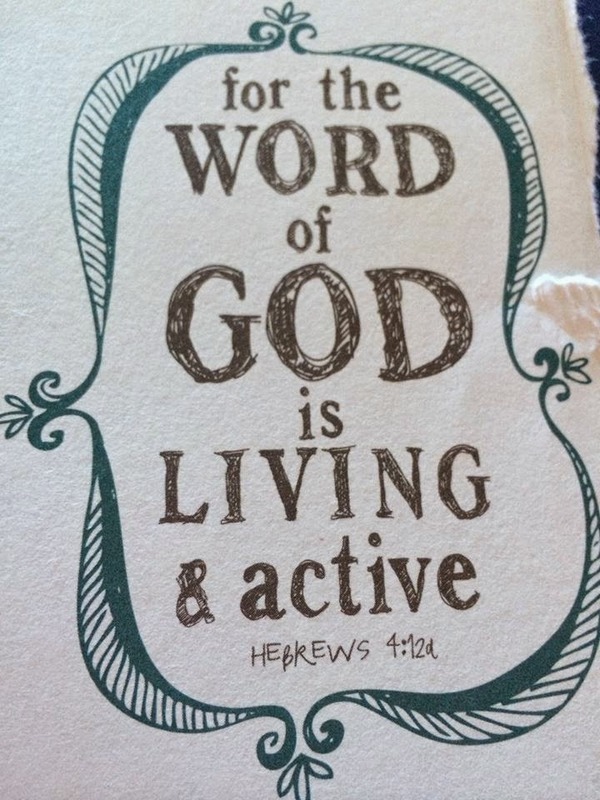 How is your devo life? Where are you making time for Jesus in your life?